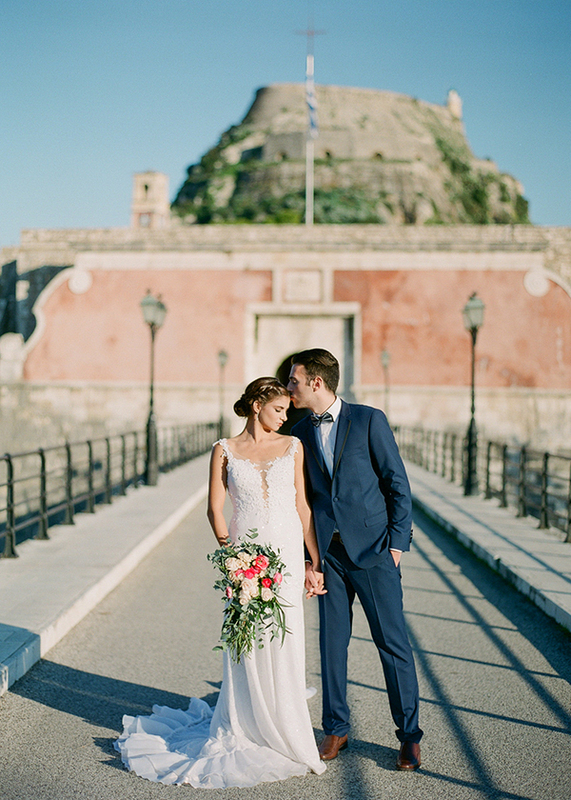 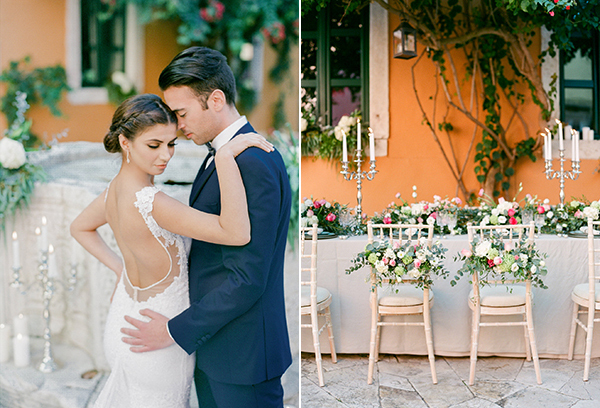 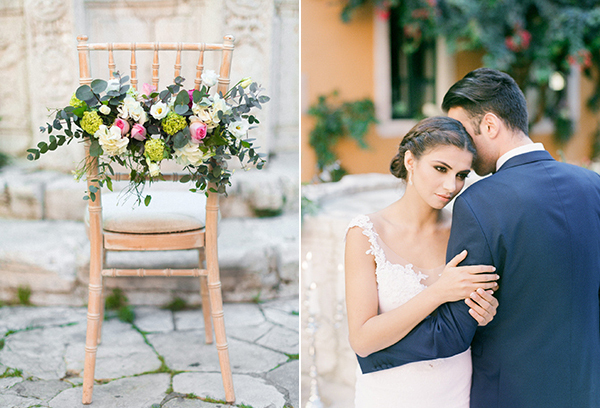 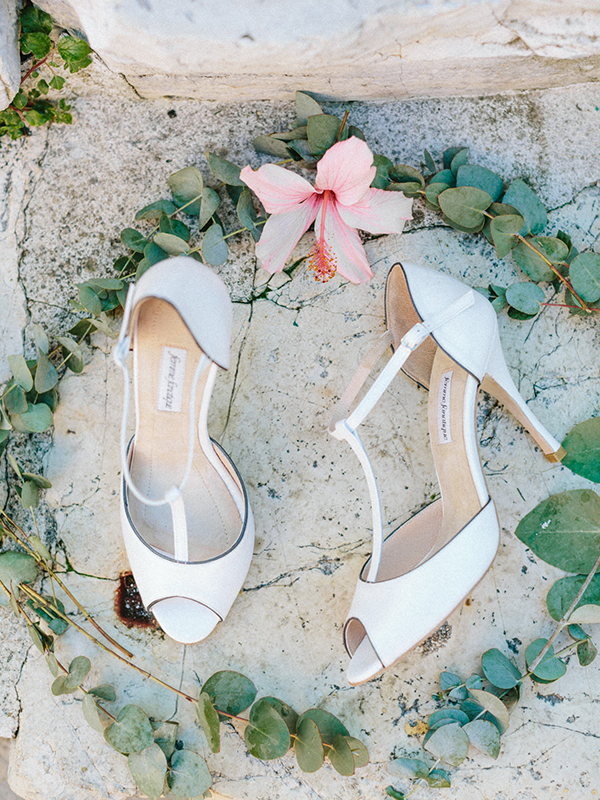 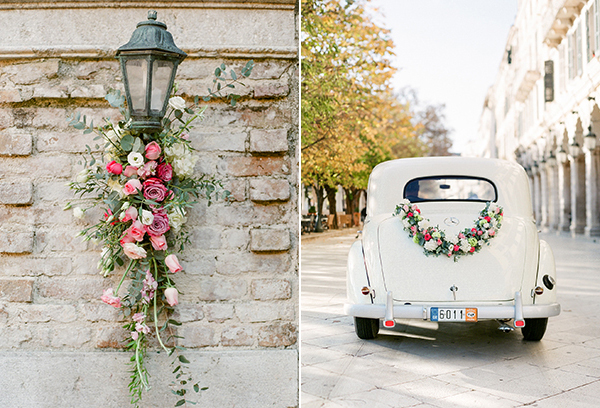 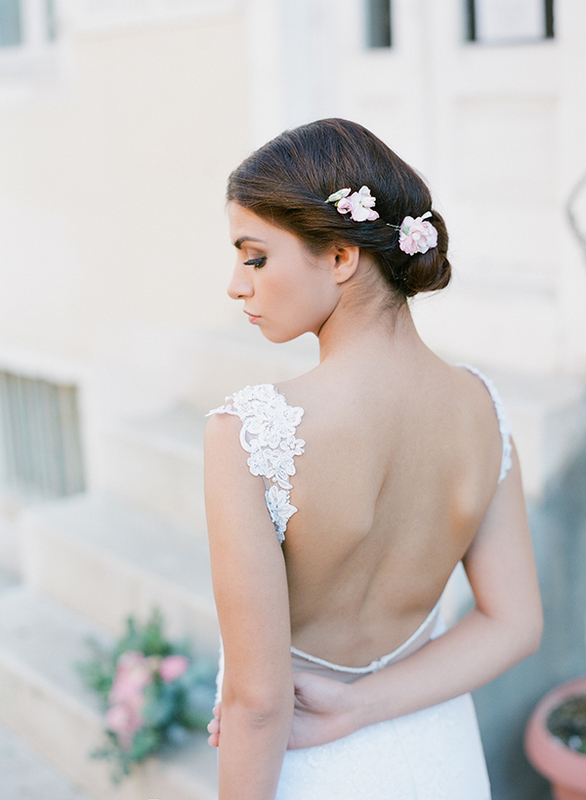 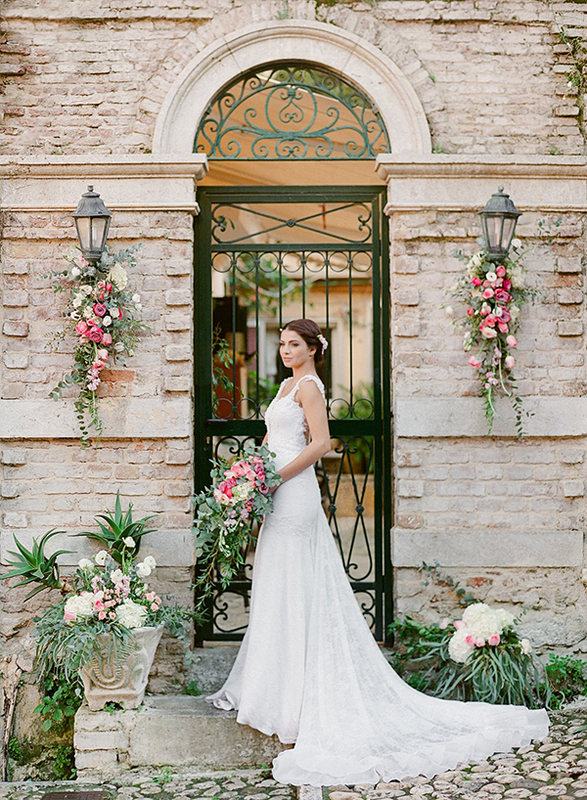 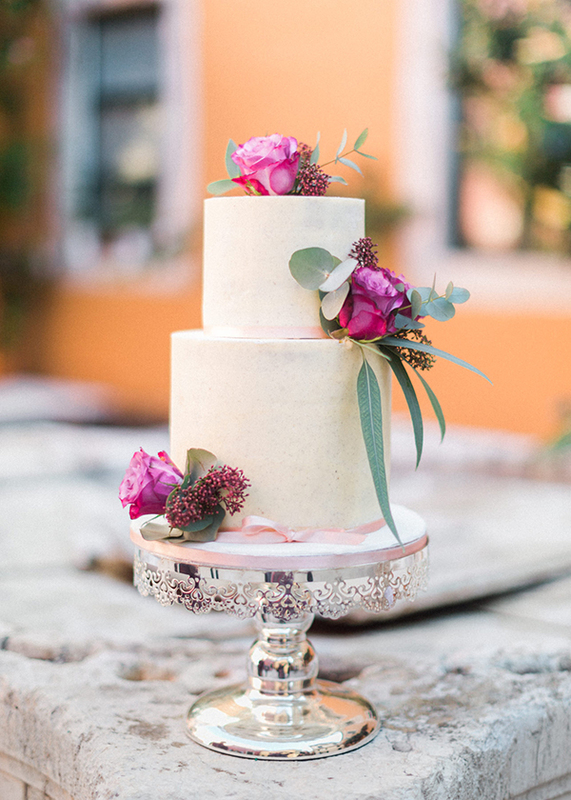 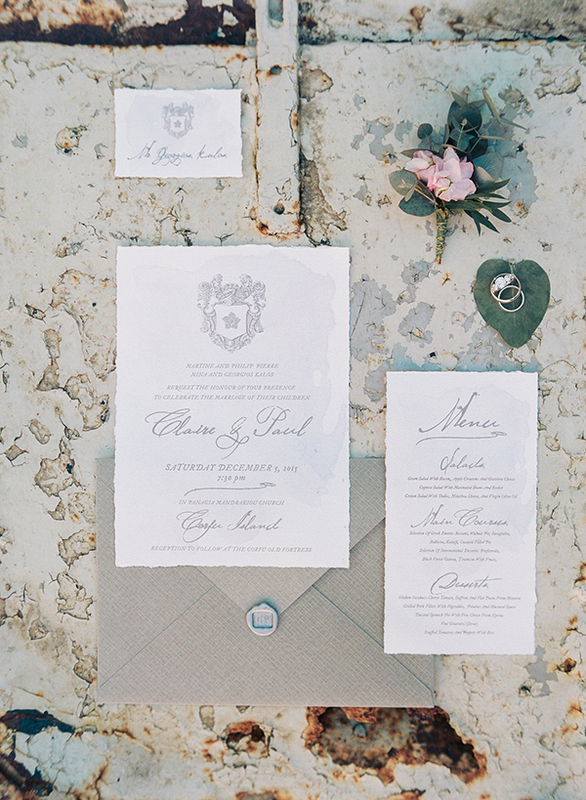 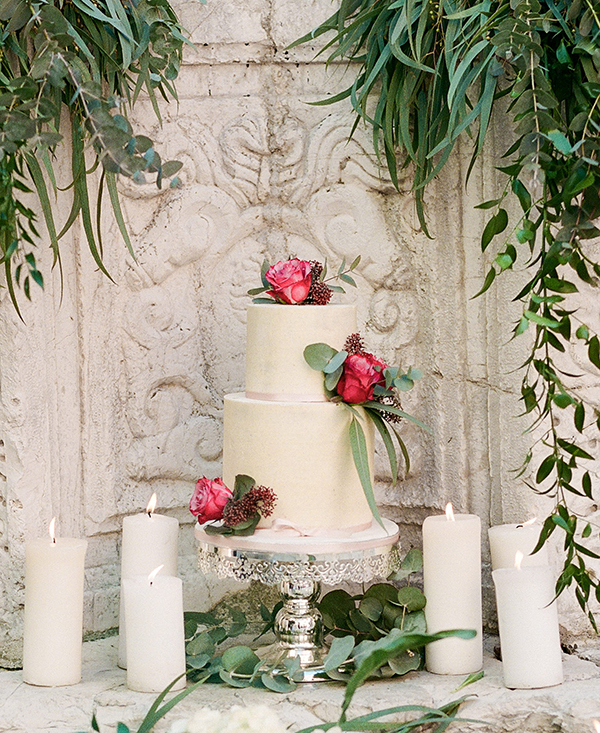 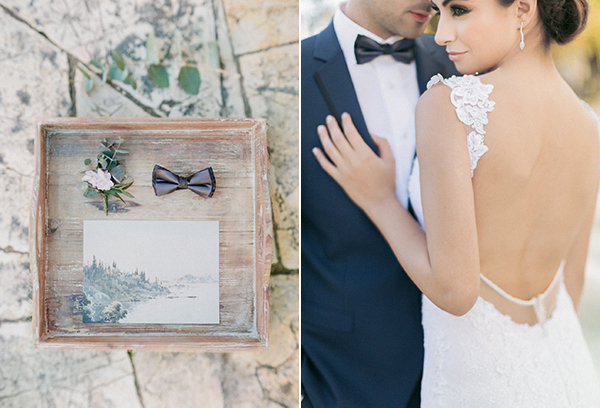 If you have been following Love4Wed you probably know that I just LOVE styled shoots… so you imagine the joy I felt when Adrian Wood shared this stunningly beautiful styled shoot that took place on the Greek island of Corfu. 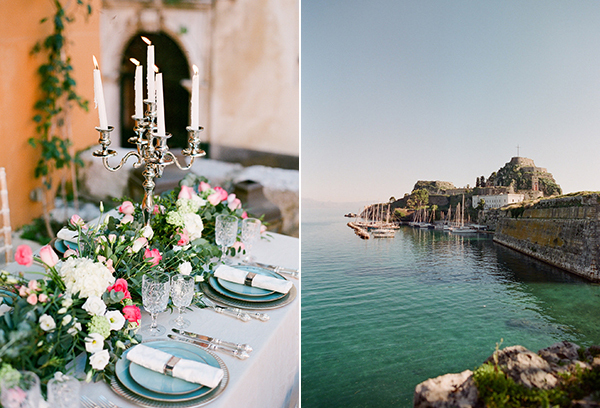 All the gorgeous decoration details were planned and styled to perfection by Lorraine from Corfu Wedding Planner: timeless and elegant wedding decoration in soft and romantic colors, with countless candles, vintage silver candlesticks, lush floral designs that literally left us speechless… From the backless wedding dress by Kamelia Andrioti, to the elegant white wedding shoes from Femme Fanatique, the sophisticated wedding stationery in soft shades of grey from Atelier Invitations… to the incredible video created by WedColors Cinematography…. 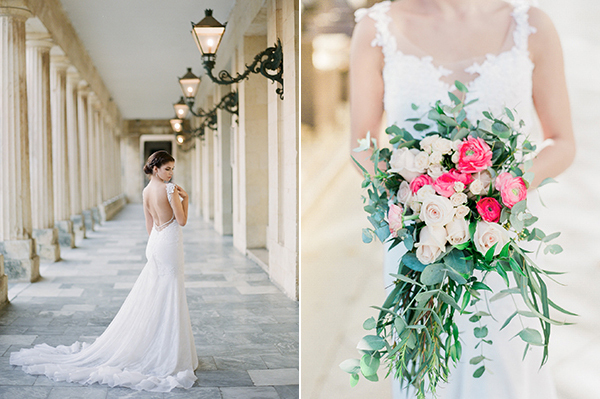 it is all so insanely pretty that seriously words can’t do it justice. 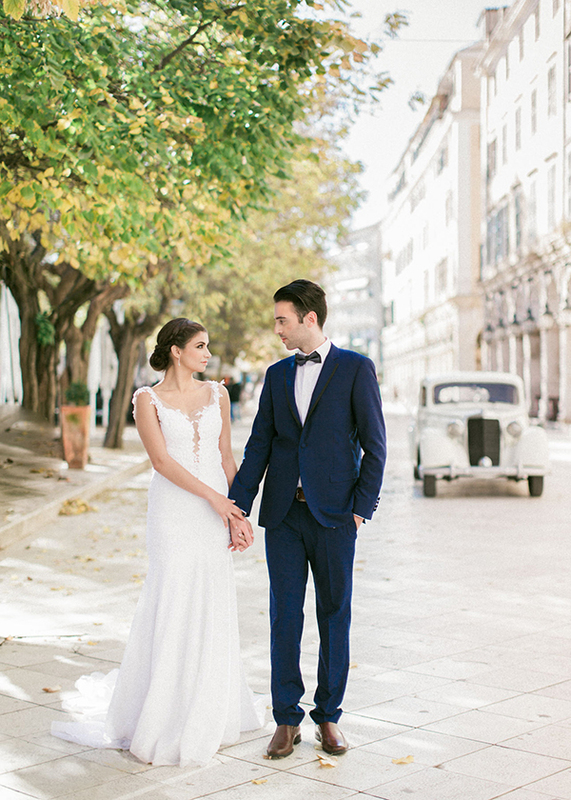 Photographer Adrian Wood shared with us: “An elegant late autumn inspirational shoot on the stunning Greek Island of Corfu that you would quite easily mistake as the Italian riviera due to the strong influence of the Venetians who for four plus centuries controlled the island. 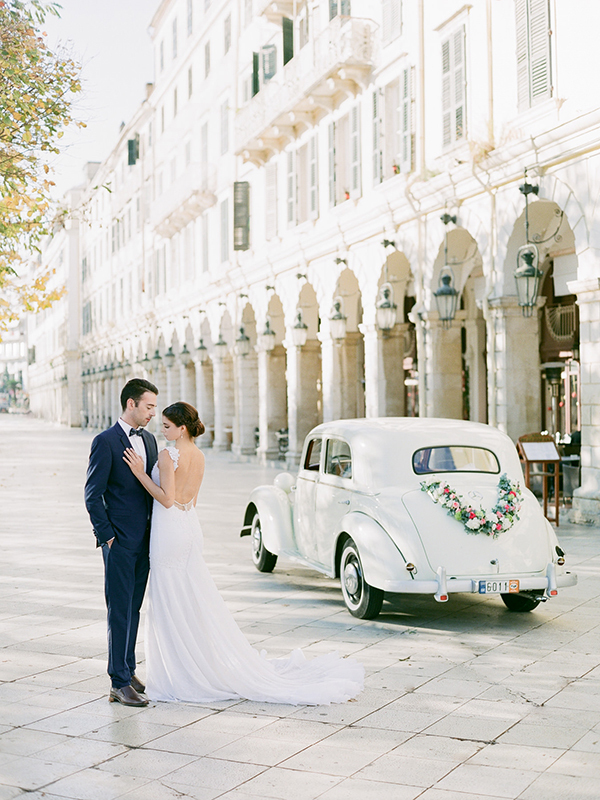 The compact and strollable Old Town with its Venetian fortresses, museums and an abundance of Venetian architecture is a Protected UNESCO heritage site making it the perfect backdrop for this inspirational shoot and any couple looking for an elegant wedding destination in Europe. 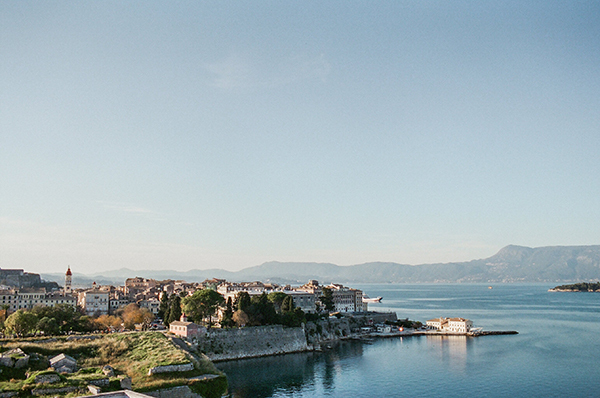 Kérkira the location chosen for the shoot is the capital of Corfu, situated in the Ionian Sea and is considered one of the most cosmopolitan and elegant lifestyle cities in Greece. 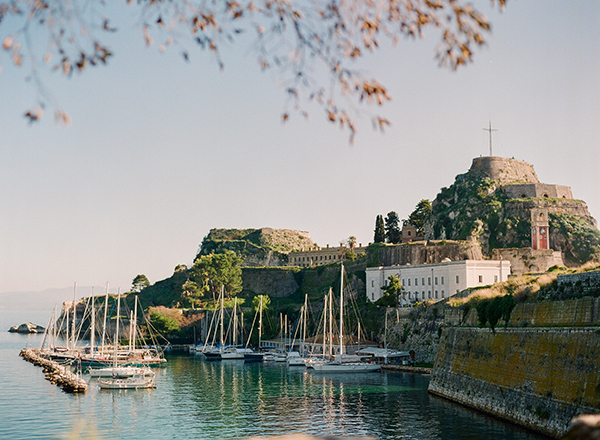 Corfu enjoys numerous direct flight connections within Europe during summer months and only a short internal connecting flight from Athens. 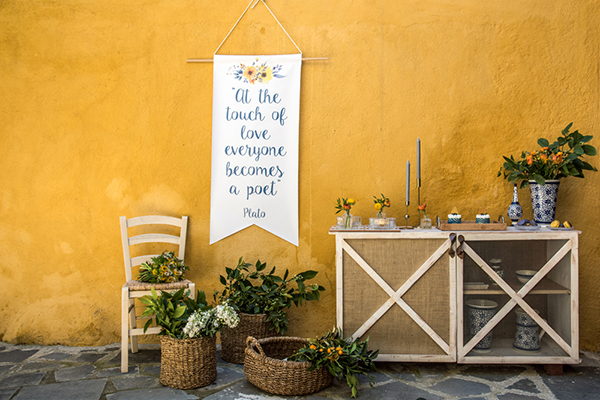 The team of local and athenian vendors created a colorful palette in keeping with the season under the organisational skills of Lorraine Young from Corfu Wedding Planner“. 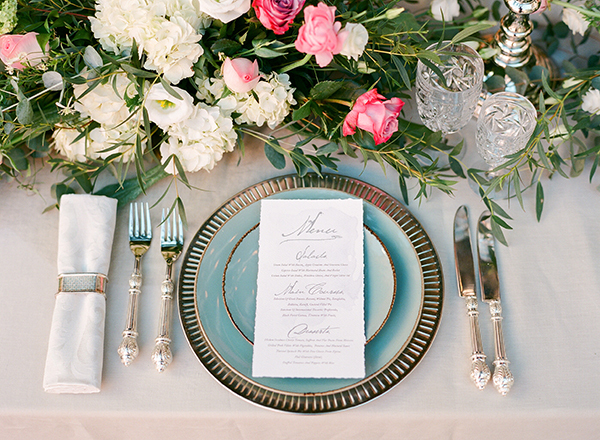 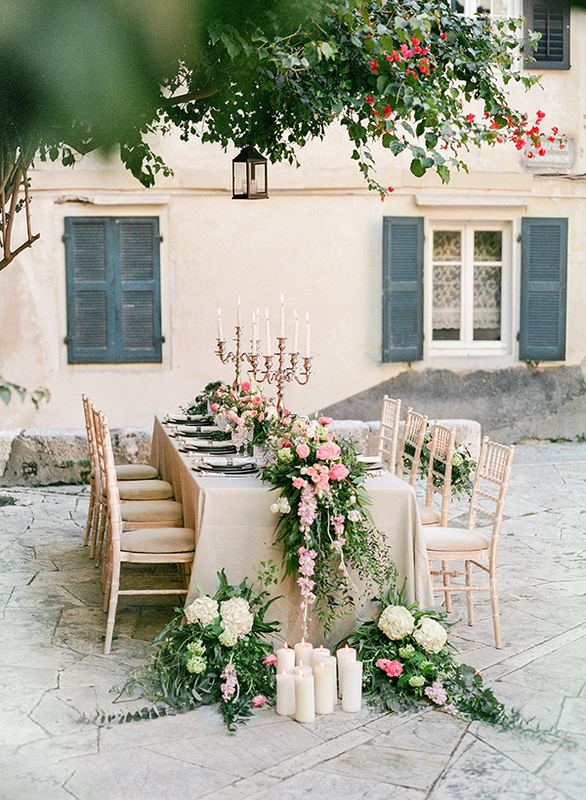 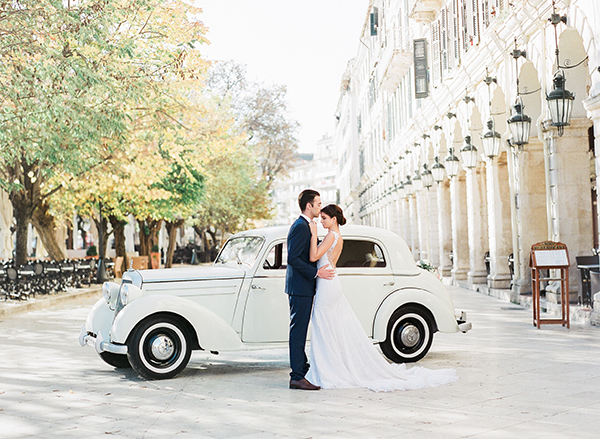 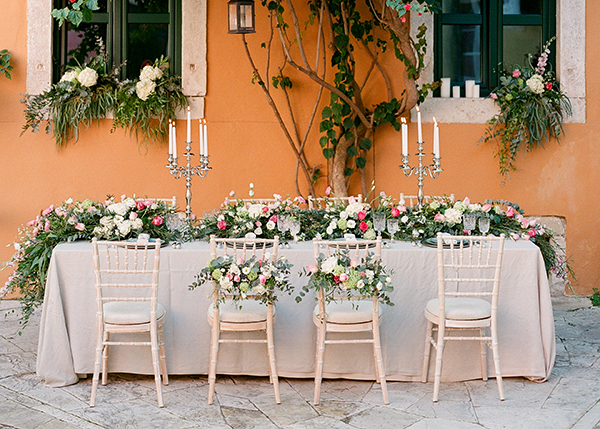 Corfu Wedding Planner are on Chic & Stylish Selected Vendors.